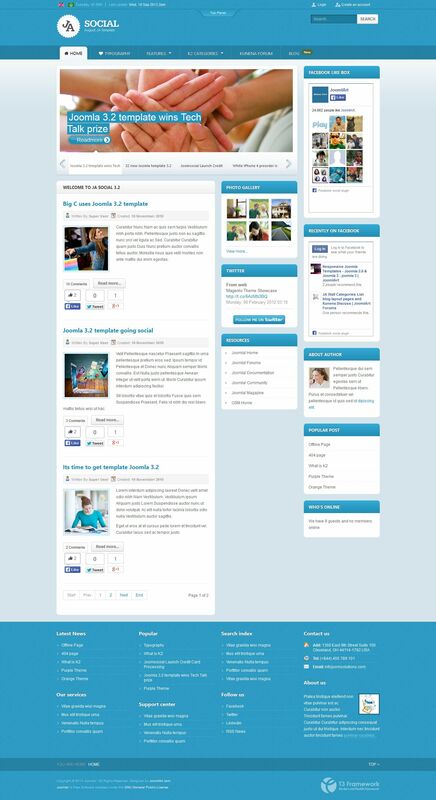 JA Social - probably the best social template for Joomla from Joomlart. Especially for social patterns developed 6 new extensions. It is optimally integrated with components JomSocial, AgoraForums and K2, dlagodarya what you have the opportunity to create social. resources, forums, and also added a special function in the publication of materials. JA Social running on T3 Framework Version 2 and has 5 color options. On facebook plugins will be updated to work with Joomla! Joomla 2.5 compatible.